In the late 1980s, the Warner Music Group (Warner Bros., Elektra, and Atlantic), along with numerous subsidiaries—including, at the time, Island Records—distributed a series of singles under the “Backtrax” banner in the USA. These singles did not include new music; rather, they were catalogue releases in a generic “Backtrax” sleeve showcasing two previously released songs from a WEA artist or group. Typically, both songs came from the same album, with the first track being a big “hit” and the second being a single that did not perform as well. For example, one Depeche Mode “Backtrax” includes two songs from Violator, the global smash “Enjoy the Silence” followed by “World in My Eyes” (which, in comparison, performed poorly on the charts). A Madonna “Backtrax” includes chart-topper “Like a Prayer” alongside minor hit “Oh Father,” and so on. Despite their generic artwork and lack of unique material, in recent years these “Backtrax” releases have become popular collector’s items, especially for fans of artists such as Prince, New Order, and Madonna. In 1988, a U2 title was added to the “Backtrax” series—on cassette only—pairing two singles from The Joshua Tree: lead single “With or Without You” and fourth single “In God’s Country.” However, the following year, Island Records founder Chris Blackwell sold the label to Polygram in the UK. This effectively removed U2 and other Island artists from the WEA family. Perhaps in an effort to compete with “Backtrax,” the now Polygram-owned Island created its own series of catalogue singles under the “Island Treasures” banner. These were released on cassette and CD, with a third track added to the CD format—again, probably to compete with the “Backtrax” titles. 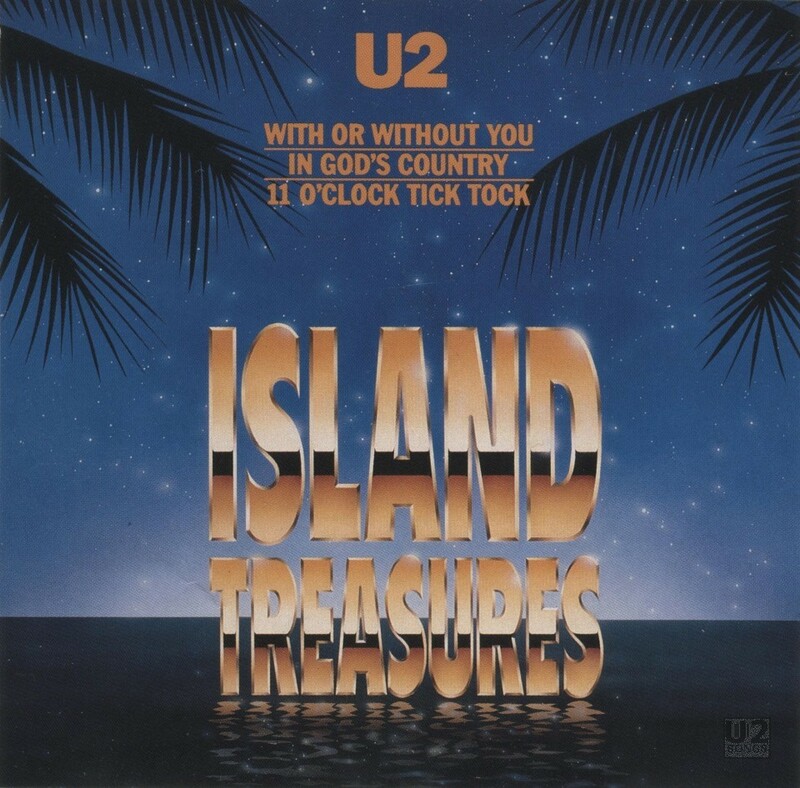 U2’s “With or Without You/In God’s Country” was released as an “Island Treasures” single, with the added CD track, inexplicably, being the live version of “11 O’Clock Tick Tock” from the Under a Blood Red Sky album. In the end, though, “Island Treasures” did not see the variety or longevity of the “Backtrax” series. In fact, only a handful of “Island Treasures” singles were released, including titles by Robert Palmer and Frankie Goes to Hollywood. U2’s “Island Treasures” CD is easily the most common of these titles on the secondary market.